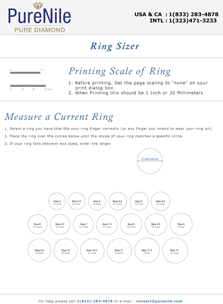 This is a chart that will be extremely helpful for you to determine the ring size that you need. You can either make use of a tape or a small piece of string to measure the area that will be occupied by the ring. When it becomes a complete circle, make a mark on such string. This will be helpful for you to compare with the chart that is mentioned below. 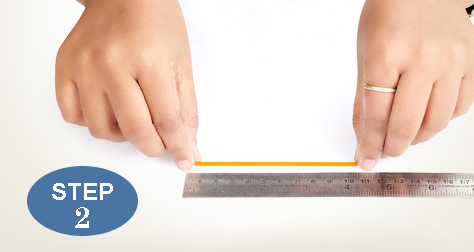 For extra width, you can add another size to accommodate. Here is another chart that can also be considered in determining the appropriate ring size. It measures inside the diameter of such ring in millimeters. This is normally used for double checking your results from the usual paper method. Apart from this, you can also make use of the ring that you wear daily and cross check the same with printable ring Size Guide chart. Given below is another chart, which can also be used in determining ring size. 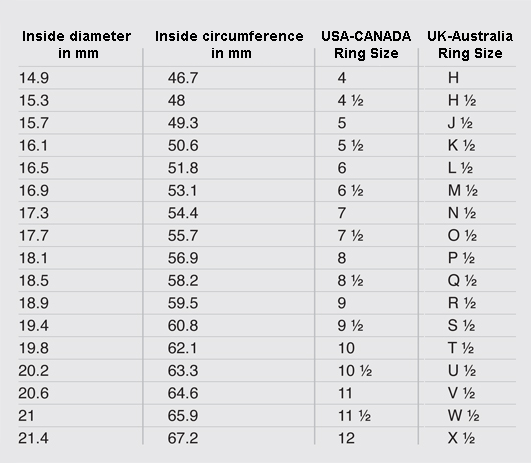 The chart lists out the inner diameter of rings in millimeters. This chart is normally used for double checking the results from the usual paper method. Apart from this, you can also make use of the ring you wear daily and cross-check the same with the chart given below. There are a few environmental and physical factors that should be taken into consideration before deciding on the size of the ring you want to buy, but remember that when it comes to guessing your partner’s ring size, guess on the large side as it’s easier to size a ring down. Keep in mind the average ring size range for women is between 5 and 7 (US), while sizes commonly range from 8 to 10 (US) for men. If you have no other information available, it’s best to choose between these ranges. *Please note that the information in the guide is provided for guidance only and PureNile is not responsible for any errors that occur as a result of using this guide.